The title bride-to-be is a once in a lifetime occurrence so embrace it with every opportunity you can get! Rock that feyonce or future Mrs. label on paper, clothing and even bags. 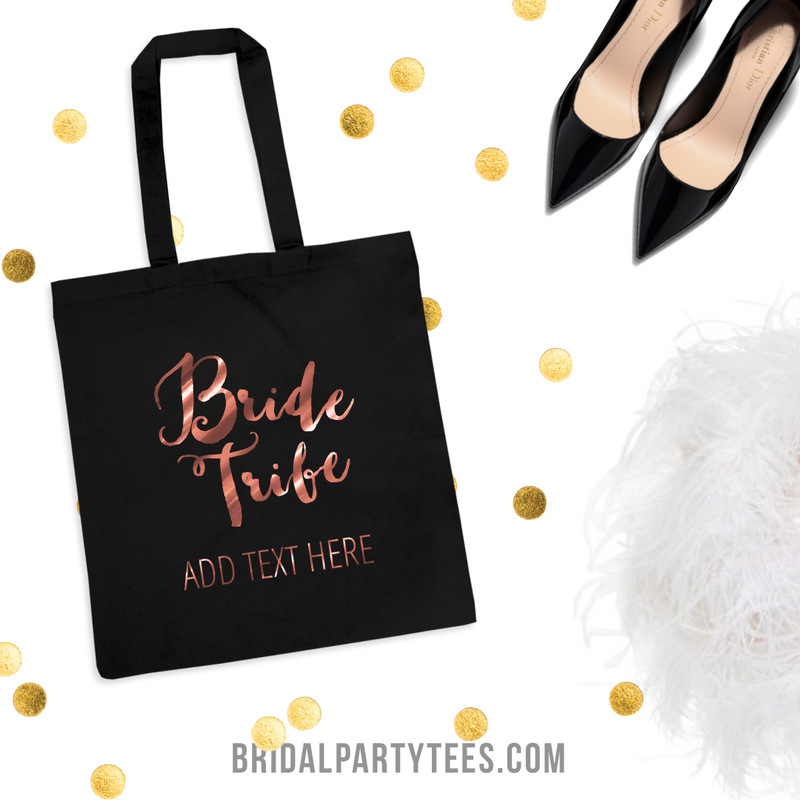 From the grocery store to the gym, let everyone know that this is your time to shine with custom bridal bags. 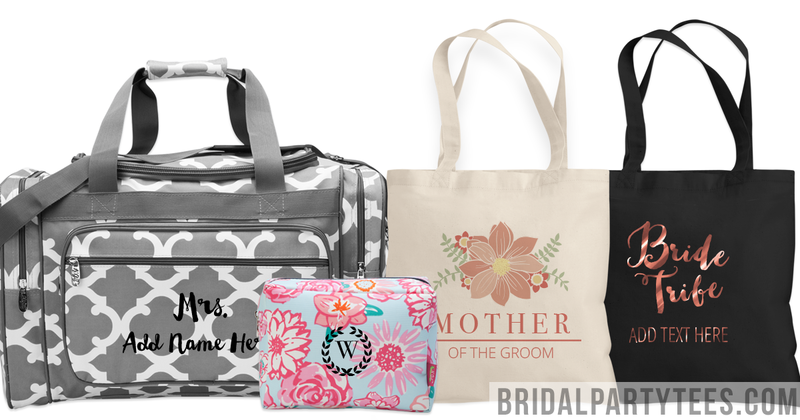 Not only do we offer the best selection of custom bridal bags at Bridal Party Tees from custom bridal totes to patterned cosmetic makeup bags but we have a massive gallery of designs ready for you to personalize with names, colors, and dates. Having endless options in designs is a huge plus but that’s not what makes them so great. The majority of bridal bags are decorated with a thin, precision-cut film that is then fused onto the bag with heat that creates a long-lasting, fade resistant design. This printing process also gives brides a metallic foil option when designing. It’s surprisingly easy to add your own text, font, art, or logo in our design center. And the best part of all: no minimums. Design a bag just for you or create matching designs for you and your entire bridal party! A bulk discount is automatically applied when you order 6 items or more. Our design center has a variety of options in product styles, fonts, and art to allow the user to be as creative as they want but also the effortless functionality to achieve the ultimate, one of a kind design. There’s nothing we love more than offering our customers the best and trendiest bridal apparel online. Design your own custom bridal bags and share your pictures with us on Facebook, Twitter, or Instagram @bridalpartytees! Preparing for a wedding can be stressful. It can consume every free moment you may have leading up to the nuptials and sometimes you just need a breather. A destination bachelorette party is the best great excuse to take a break from it all and to soak it all in before the big day. With warm sand and cold refreshments, you really can’t go wrong with a bachelorette party at the beach. 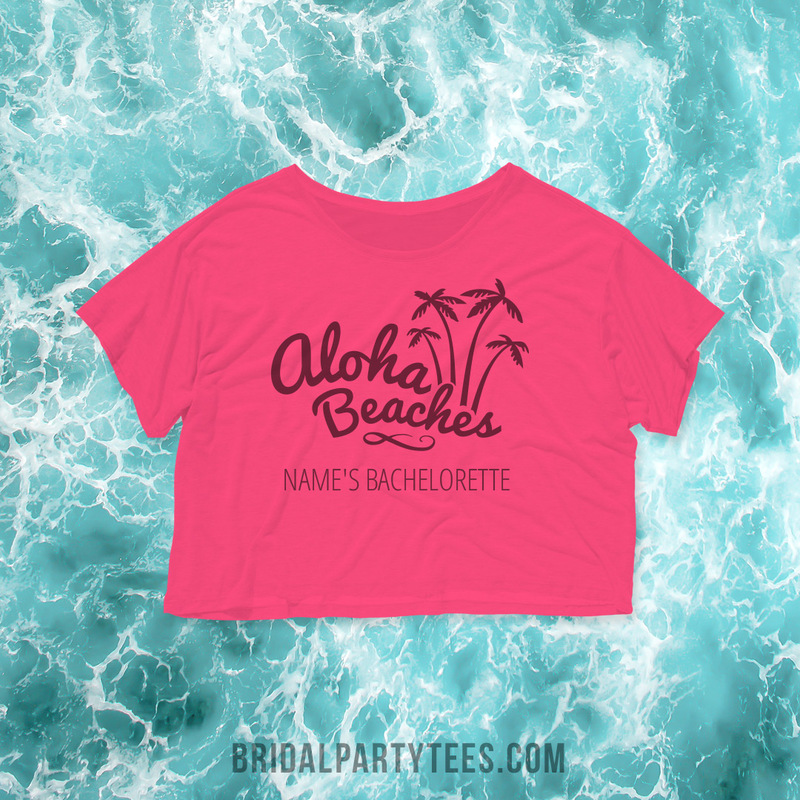 Sit back and relax because it’s time to have some fun in the sun and there’s no better way to do that then with beachy bachelorette party shirts! There’s so many different directions you can take when planning a beach themed bachelorette. Mermaids? Nautical? They are all so cute and stylish. How will you decide? 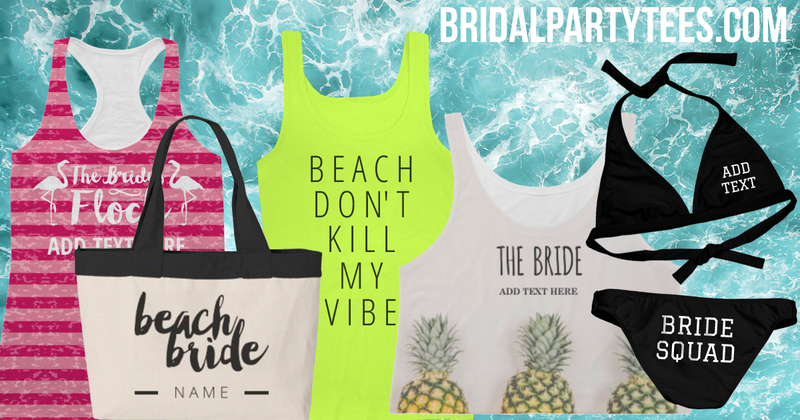 Bridal Party Tees has the best selection of bridal designs on the trendiest apparel online that it doesn’t matter if you’re sticking to the theme or looking to take a more traditional route. Choose from one of our designs or start from scratch. It’s really that easy. But why just stop with shirts? Create matching bachelorette bikinis for you and your ladies as you lounge the day away. 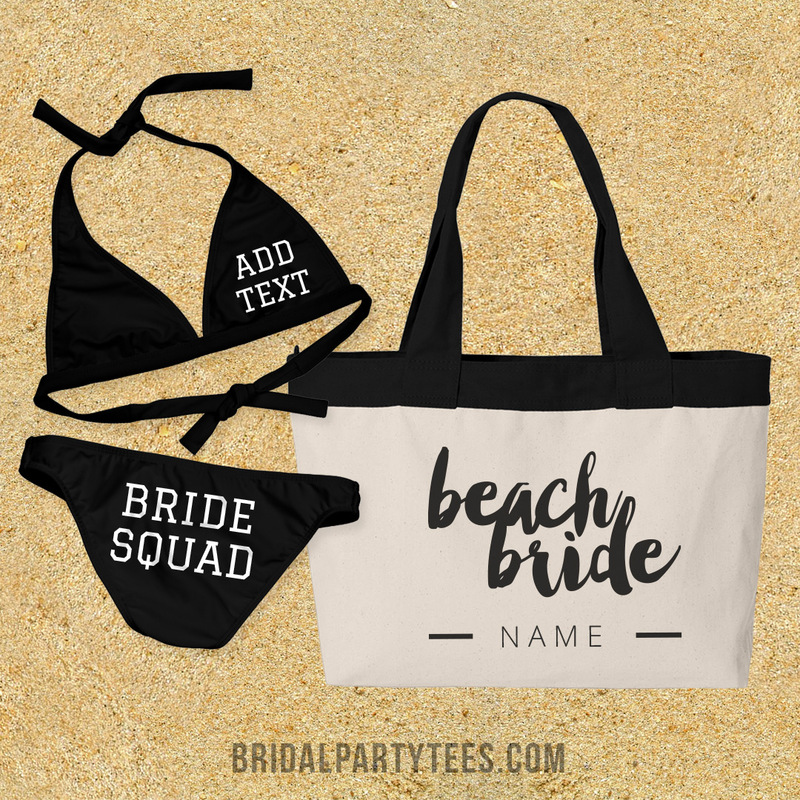 You can even design coordinating custom cover-ups, neon bachelorette party shirts, or neon trucker hats to really make a statement while you are relaxing poolside. What theme will you choose? 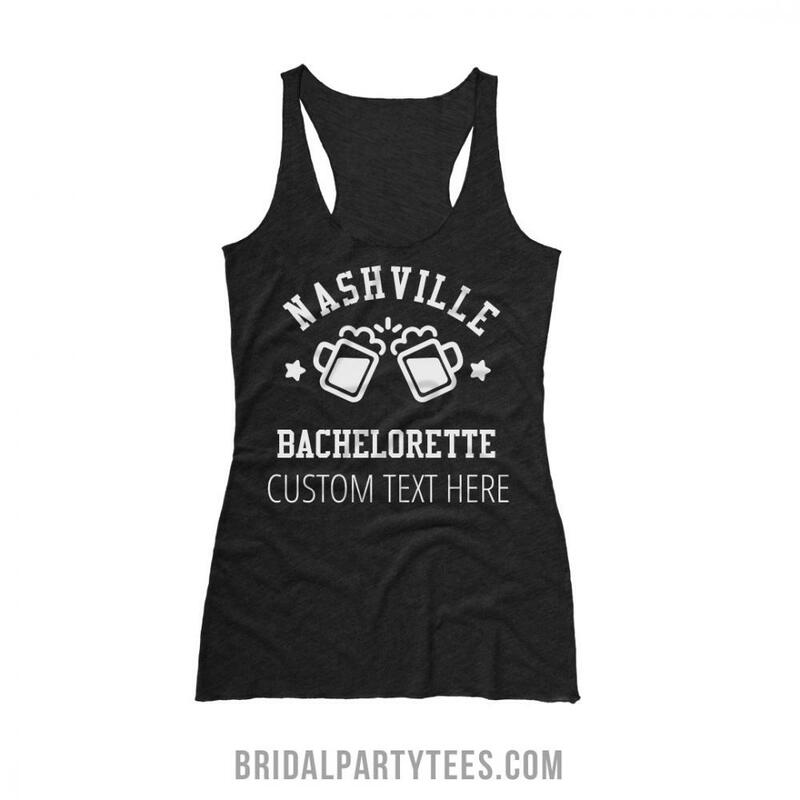 Customize yours today and share your pictures with us on Facebook, Twitter, or Instagram @bridalpartytees! Not creative? Our amazing customer service would be more than happy to assist with the entire process from designing to ordering. Looking for the perfect way to ask your best friends to be in your wedding? Personalize a 30 or 130 custom jigsaw puzzle by adding a personal photo with custom art and text. Use coupon code below to save! Use coupon code AG7BPT at checkout and get $5.00 off orders of $40.00 or more! Offer expires 8/31/2017 at 11:59PM EST.